No other situation has the capacity to push you quicker to produce change and growth quite like the raw and harsh reality of entering into the competitive arena and putting yourself up against a real opponent. Whether it be in sport, business or any other field, the enormous benefits gained by putting yourself into that situation and learning to confront and overcome any fears or challenges that come up are incredibly valuable in all facets of life. A few years ago, when I used to play competitive Rugby League in Sydney, that feeling was something I experienced every single week. And it's only since I stopped playing that I’ve found that environment is something I really need to actively seek out. So this year I decided if there is one thing I have to do more of, it’s to put myself into those competitive scenarios more often. These days I practice the martial art of Brazilian Jiu-Jitsu and have competed periodically for a number of years now. But this year I want to see how good and how consistent I can get. I want to push the boundaries mentally and physically and I want to learn about how I respond to that pressure. Putting yourself in these types situations is challenging. You face another person with nothing but the skills and tools which you've developed over the course of your training, and, if those skills aren’t up to the same level as your opponent you get feedback. Real feedback. And that’s the beauty of competing. Lots of people will choose not to compete, some avoid it at all costs - because there’s a lot that could go wrong. That fear can be a difficult hurdle to get over, but in my experience, stepping up to that fear is worth it. No matter the result, the feedback you gain from these situations filters through to so many other areas in your life. It all starts by making the decisions to test yourself and compete. Here are a some of the most valuable benefits I find come from putting yourself in the arena and competing. Competition Forces You To Control Your Emotions. In my first ever Brazilian Jiu-Jitsu competition, my heart was jumping out of my chest, my breath was shallow and my hands shook as I stepped onto the mat for the first time. I remember being so nervous. The adrenaline poured into my body as the outside world closed in and I tried desperately to finish the match as quickly as possible. It was right there that I learnt two very important lessons. Number one, breathe deeply, and number two, calm down and pace yourself. I won that very first match but as a result I was completely exhausted for the next match and was quickly eliminated from the tournament. It was an important lesson to learn. I realised if I was going to compete and win tournaments then I needed to be smarter and control my emotions going into the fight. Being in a relaxed frame of mind helps not only with your endurance, but also with your ability to be creative and innovative during the competition. As a result of that very first competition, I left that day with some important lessons which would be very useful to me next time. When you start to compete, you begin to notice that If you want to win, you need to be consistent. There is no substitute for hard work, and putting yourself into the competitive environment will only reinforce that fact. It’s incredibly easy to let complacency creep into your training, and before you know it you are taking things for granted only to find out that you aren’t quite as good as you thought. Competition forces you into those uncomfortable places where you must be great, you must be at the top of your game and you must be ready. Learning to be comfortable in that space is the path to improvement and attaining your goal. Competition Pushes You To Adapt, Innovate And Do Things You Never Thought Possible. The great thing about being stuck in a challenging situation is that you have to find a way out or else you’re trapped. That is exactly what competition forces you to do ­— to adapt, to find a new way or perish. When I played Rugby League, one of the most physically and mentally demanding situations to be in was in the final minutes of a game, when everyone on the field was completely exhausted, and the game was on the line. One team needed to respond to that pressure and produce something out of the box in order to get the win. I always found that players who were mentally strong and kept a level head, rather than the most skilled players, were the ones who produced in these moments more often than not, because they were able to push themselves further than they thought possible while also remaining calm under pressure. Being in this state during the final minutes was a great advantage for them in finding opporunities to innovate and produce a winning play. 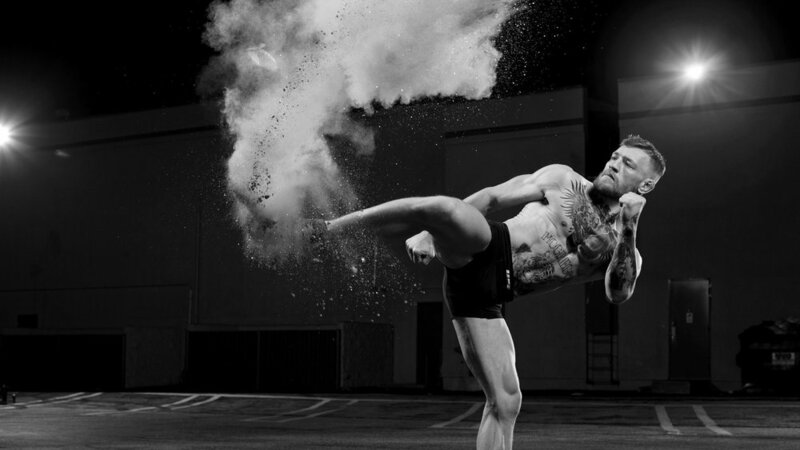 One example of a person who I believe embodies this mentally strong and adaptive mindset is Conor McGregor. His willingness to push his boundaries and seek out pressure situations by competing (and winning) in different weight classes and also making a switch to boxing is a testament to his mental strength, competitiveness and willingness to innovate in the name of achieving his goal of being the greatest fighter alive. When you compete, you are forced to make a leap and push yourself beyond what you previously thought possible in order to win. The more you find yourself in these situations the better. Competition Is About Carving Out The Best Version Of You. Competition isn’t all about victory laps and trophies, it’s about understanding exactly who you are and how you react to situations while you’re under pressure. It hurts when you put in the effort and come up short. It’s one of the worst feelings in the world to put your heart and soul on the line only to be beaten. But therein lies the beauty of competing. When you put yourself in the firing line and take the hard losses, rejection or criticism you begin to learn important lessons about yourself that no other experience can teach. You begin to gain self confidence that you were able to put yourself in that situation in the first place and were able to get through it, and then you begin to take responsibility for your results. When you come through these lessons you learn that what matters most isn’t necessarily the medals or the prizes, but what you learned about you from the experience, and how you can then push yourself to be better next time. Competition Pushes You Toward A Better Life. A few weeks ago, I entered my first Jiu-Jitsu tournament of the year. I had prepared better than I ever have, was consistent in my training and I felt great. I've come a long way since that very first competition a few years ago when I exhausted myself in the first round. As a result, I got some good results by winning one of my divisions and placing second in the other. I improved my game and at the same time realised I was surrounded by people seeking the same thing I was. Being there, in that competitive environment, surrounded by others who all shared similar values and were all looking to improve themselves made me really grateful that I had chosen to compete. While I was fighting, any outside fears or nerves I had previously were gone, the focus was on doing the absolute best I could with the moves and positions I was in and pushing myself further mentally and physically. That’s the great thing about competing, it gives you a realisation of where you are and a hunger to improve and grow from that point. This hunger to improve is a gift which everyone has access to and it is a gift which should be explored constantly in order to push ourselves toward new lessons, improved results and better lives.